Bursting with personality, this soft and cuddly Big Eyes stuffed baby turtle, is ready for hours of imaginative adventure. 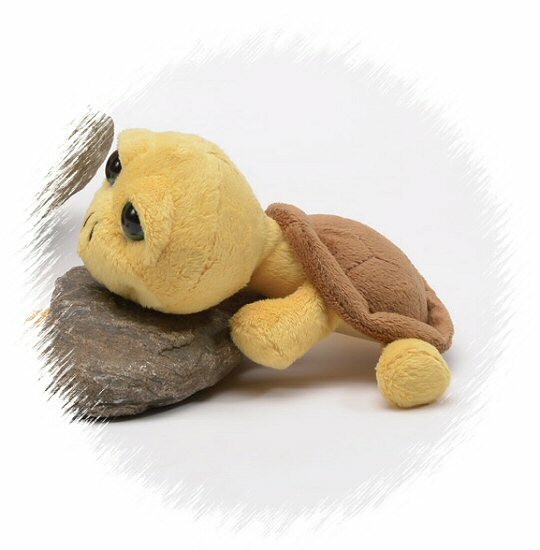 With soft yellow fur, a brown shell, big green eyes, and a sweet, smiling face, this Big Eyes plush baby turtle will delight those of all ages who love turtles, whether they are stuffed turtles or real ones. Fun Facts about Turtles: Do you know the difference between turtles, tortoises, and terrapins? Many people use their names interchangeably, but one of the main differences is where each lives... Turtles mostly live in the water; Tortoises mostly live on the land; and Terrapins live both in the water and on the land.